During the month of October the National House and Senate have had discussions on a multiple of major issues that affected the whole nation in many ways. In the last couple of years the National legislative branches have been at odds over almost everything. Very few bills have been passed and many issues and bills have been pushed aside. We have not had a national budget passed and have been living on repeated short-term continuing resolutions to keep the government funded. This October the parties could not even agree on a continuing resolution so the federal government went into shutdown. They furloughed the ‘non-essential’ employees, closed all of the national parks and have disrupted services throughout that nation. As of this writing we are still in the shutdown mode. Vacation destinations are affected. Also payments for different services such as Head Start programs and things like Social Security number verifications for loans cannot be done so home closings are being affected. The Farm commodities programs had previously been funded until December through a continuing resolution so they will continue, at least until December. There are some conservation, nutrition and export programs that were part of the Farm bill that did come to a halt the end of September. The funding and the existence of the Affordable Healthcare Program has been a major stumbling block with the negotiations. The last time a federal shutdown occurred was in 1995-1996 when Bill Clinton was President and it lasted for 26 days. One thing to note is that the Republican Party had control of both the House and Senate at that time. This time we are working with a Democratic controlled Senate and a Republican controlled House. We also have the influence of the conservative ‘Tea Partiers’, who are primarily Republican, who have been basically voting against everything with funding. Hopefully this shutdown will not last 26 days or more and by the time you are reading this the government is back up and running. Who will be the ‘winner’ of this? Probably no one. But each side will be touting that they were the ones that ended the shutdown. Another major issue that occurred was that the Federal debt ceiling was reached about October 17th. This means that the government will ‘officially’ be out of money by that date. If the legislature has not approved raising the debt ceiling, more services will have been disrupted. They were threatening funding for Social Security, veterans benefits and student loans to name a few. October also brought us the implementation of the Affordable Care Act or ‘Obamacare’ as it is more widely known. There has been some beginning implementation over the last couple of years but the public’s responsibility of signing up for health care started the beginning of October. Some of the requirements in the Affordable Care Act are good such as requiring medical offices to update their record keeping systems to electronic. Now when you need a prescription they can electronically transmit it to your pharmacy and share records with other medical offices when needed. This bill also requires the insuring of those with ‘previous conditions’ allowing them to obtain health insurance. Many are not happy with the requirement of obtaining health insurance to cover essential health benefits. If you do not obtain health insurance you may be fined. Some have questioned if someone can’t afford the health insurance how can they pay the fine. There are some federal subsidies to help with the cost of health care insurance but I am not clear on what they are and how much is offered. We are still seeing the domino effect of this bill. There are already reports of some businesses dropping health care insurance for their employees and passing them along to the Affordable Care Act insurance program. I am sure that we will see more dominos falling as or if this program continues. In Connecticut we set up our own registration website and did not use the one offered by the federal government. 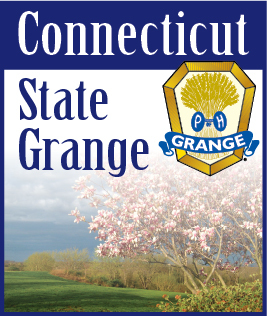 You can obtain more information at ct.gov/hix.